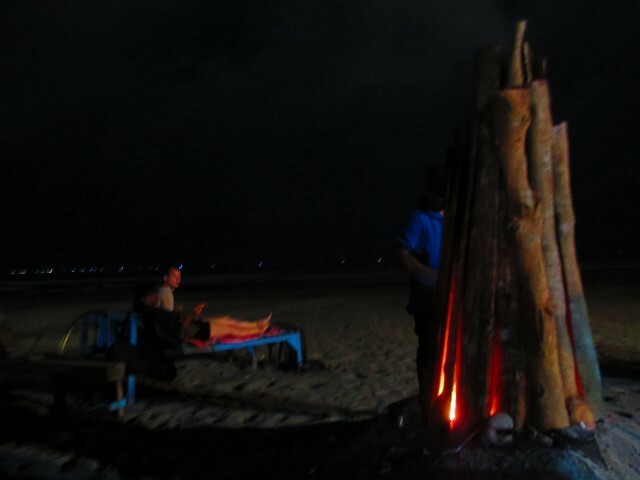 Aside from a couple short volcano treks, we had anticipated that the significant portion of our time in Indonesia would be spent on the beach. It was. 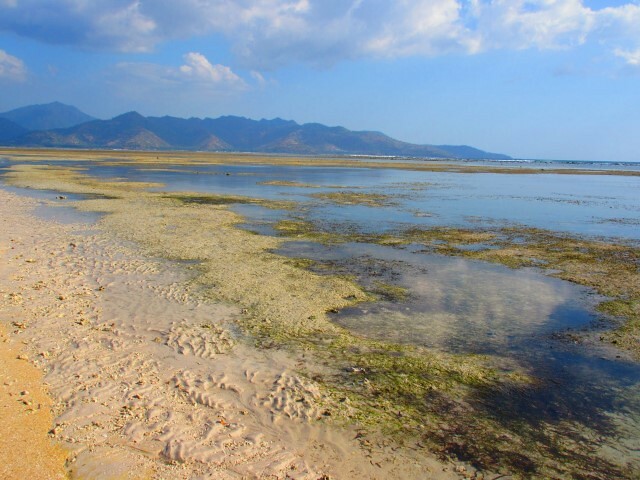 Indonesia really had a beach for anyone. Whether you were looking for solitude, surfing, partying, pampering, diving, or just some sun, there was a beach for you. 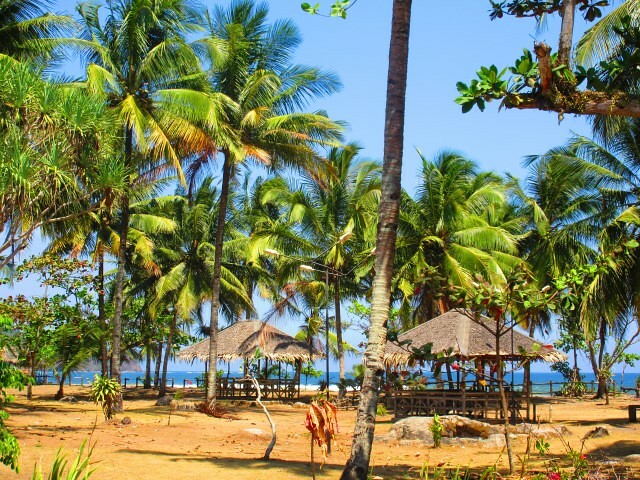 We were lucky to make it to a few different beach towns in our time in Indonesia. 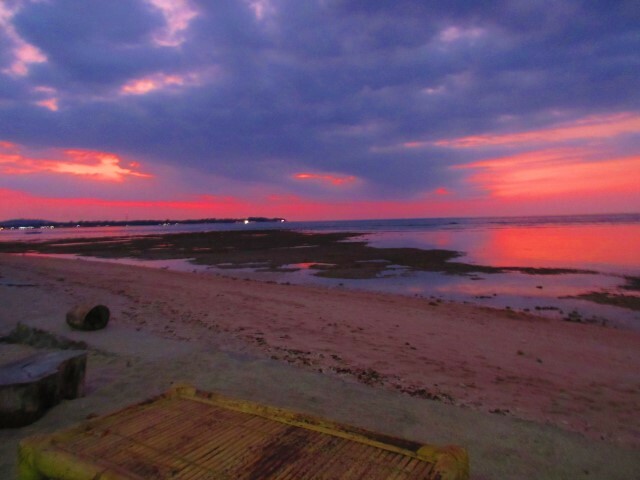 I’ll share a little bit about each of the beaches we went to in Indonesia. 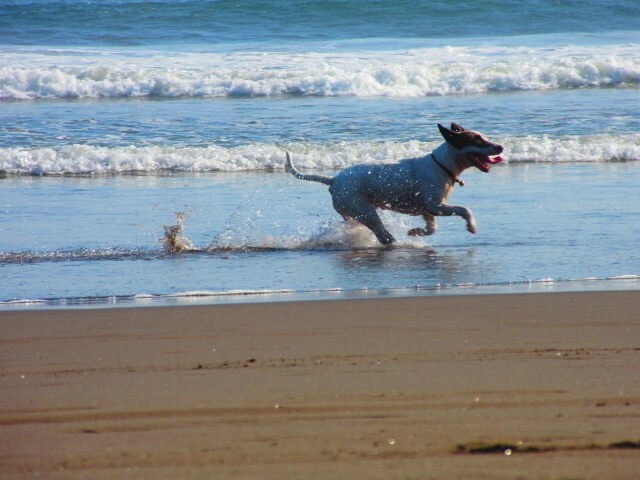 The first beach we went to was on the island of Java. 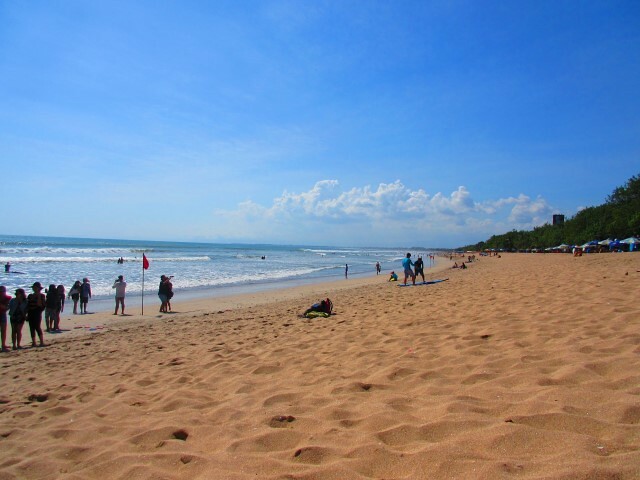 Much different from the westernized beaches of Bali, the beach in Pangandaran was pretty quiet and conservative. Java is a primarily Muslim island. 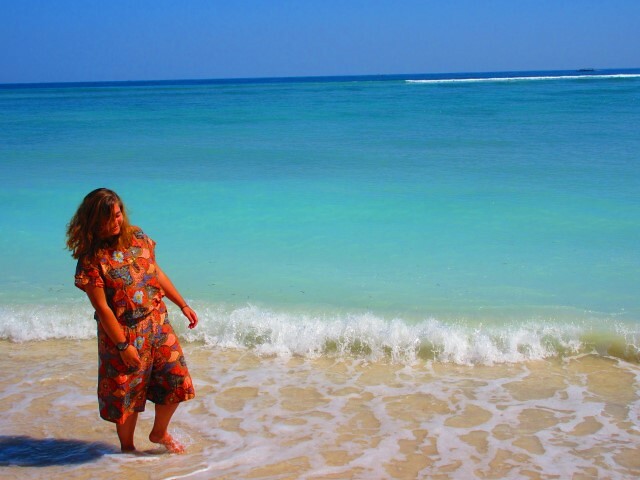 I had just come from Malaysia, which was a fairly conservative country, so I was curious about how modestly I needed to dress on the beach here. I had only gotten sun on my face and arms up to that point, and I wanted to be able to get a proper sun tan! I asked a girl who’d been there for a few days about the culture and she said, “It is fine. You just might not be very comfortable. The women can handle it, but the boys can’t”. She just meant that since the men were so used to seeing women very covered up, that would invite a lot of curiosity and staring. It wasn’t a safety concern, just a cultural difference. In numbers and surrounded by other men, we were fine to take our swim covers off and just wear our swimsuits, but it just felt a little inappropriate. Other than that, the beach was very lovely. 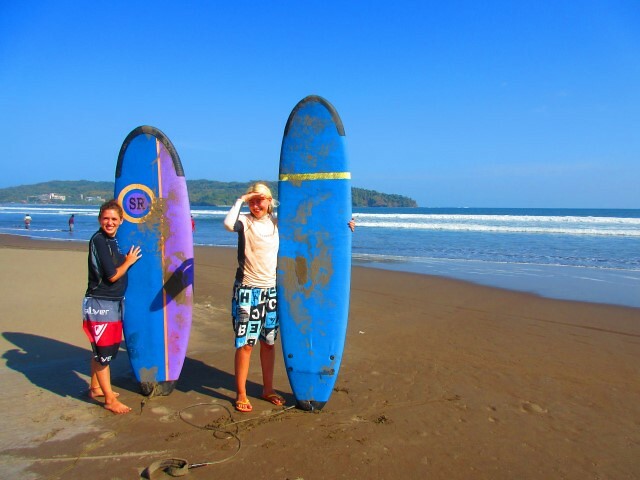 It was a great place to learn to surf, and many of the people from our hostel took surf lessons together one day. 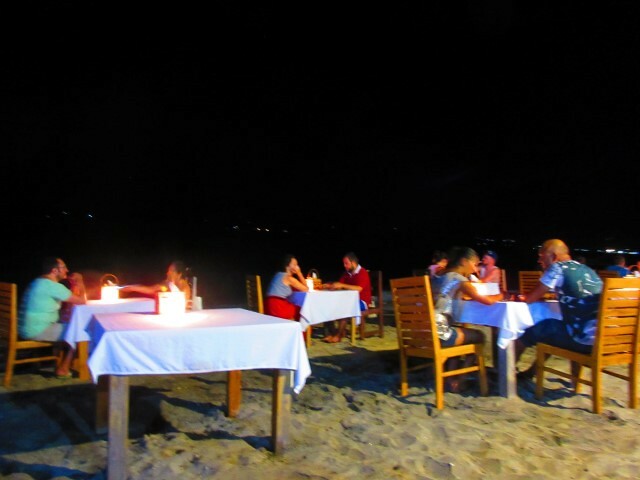 There was one main beach café that most people would eat dinner at. 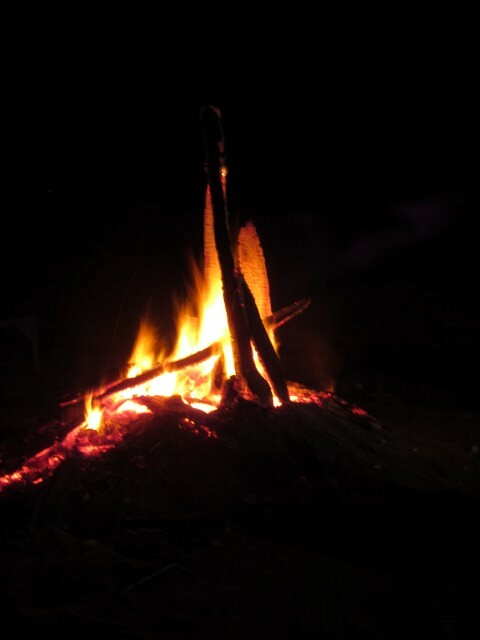 They hosted a fire every night, so it was very nice to sit around the fire and talk with other travelers. It was the first place that we really connected with other people. It was very refreshing to have other people to talk to and share experiences with. The Green Valley/Green Canyon trip, which I discuss in another article, occurred here as well and that was one of the best experiences of my life. I really liked this tiny beach town and am very glad we chose to add it into our itinerary at the last minute. Made it Up on the First Day! Our first stop on Bali didn’t disappoint. White sand beaches, hotel cabanas, and clear water made for an excellent spot to take a few days. The city had a beautiful hilly backdrop to go along with the beach, and it wasn’t crowded. I could finally freely wear my bikini and get some sun on my pasty white body. I found a nice little restaurant on the beach, ordered some pizza and wine, and did a bunch of writing in the shade of a palm tree. 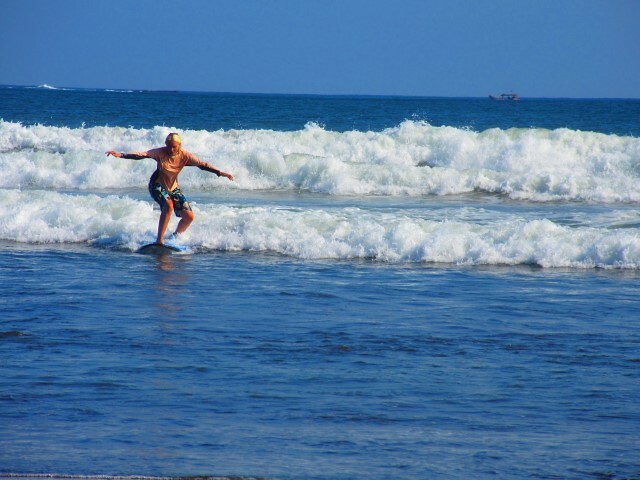 It was the perfect recovery from all the trekking on Java. Our hotel was very nice here too. 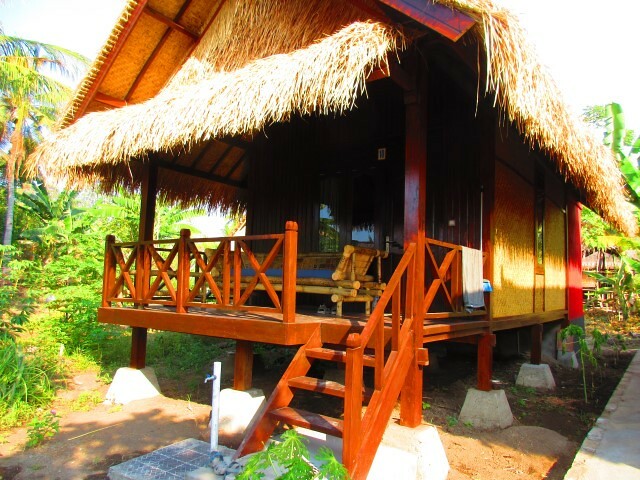 It had an awesome open air bathroom on the back of the bungalow. I realize this just sounds like an outhouse, but it was more like a fancy outdoor stone shower with a fully functional toilet. If anyone reading this has traveled in Southeast Asia, then they’ll understand why I’m raving about a nice bathroom. Anyway, the beach was the real highlight here. There was a lot to see while snorkeling and it was really great water to swim in. From this first stop on Bali, I knew I was going to love it there. 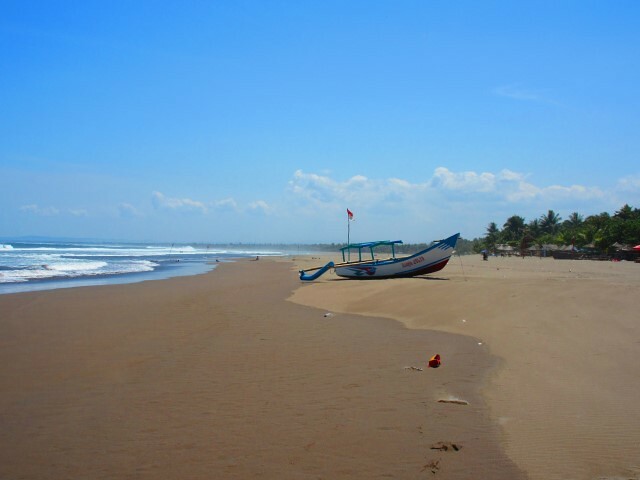 Relaxing is not the word I’d use to describe Kuta beach. The town is full of tourists looking to party until dawn. 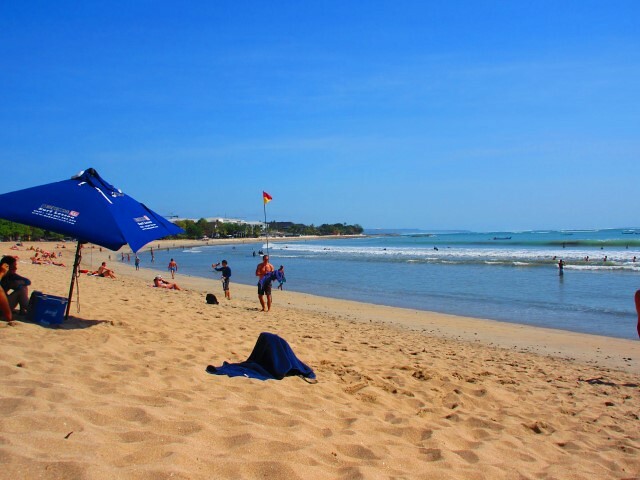 Austrialian surfers in board shorts make their way to the beach and motorbikes are constantly whizzing by. Once you get to the beach, it’s full of big umbrellas with locals trying to sell you bracelets, henna tattoos, and beer. I did get a henna tattoo on the beach and was sold a bracelet which was supposed to give me good Bali luck, so I have that going for me. 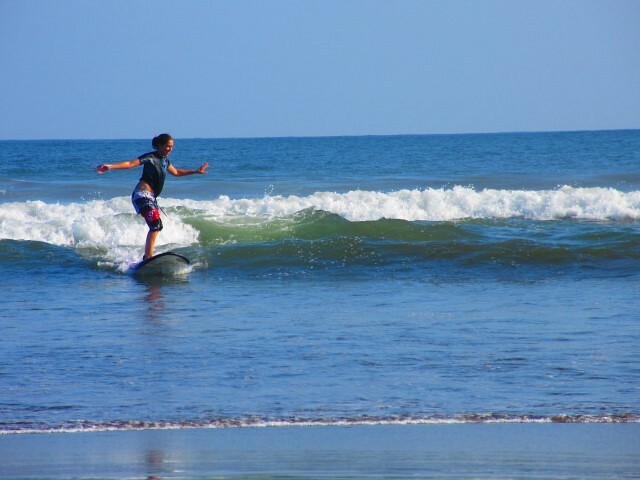 It was nice watching the surfers on the waves. I did a little body surfing, which was super fun. I had been getting so much sun on the other beach that by the time I reached Kuta, I needed a little bit of relief from the sun. My favorite part of the town was that the wifi was faster than lightning! I got so much done for my blog there. 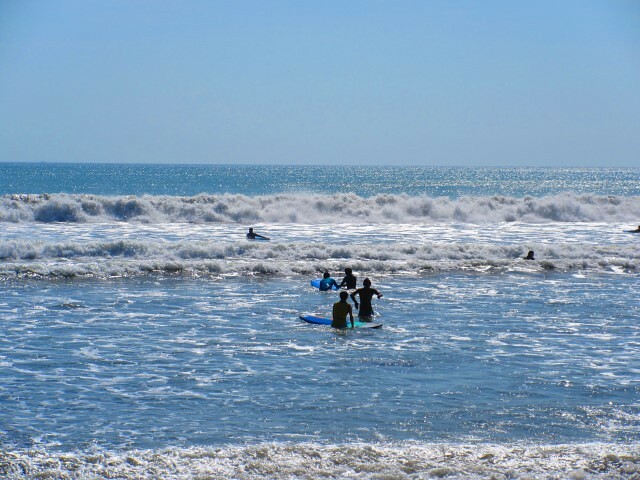 Kuta was a little too hectic for my taste, but it definitely had a very fun vibe. This was the quintessential beach party town, which made it super easy to find a cab to the airport at 3am when we came back through! I was happy to move onto somewhere a little quieter, though. 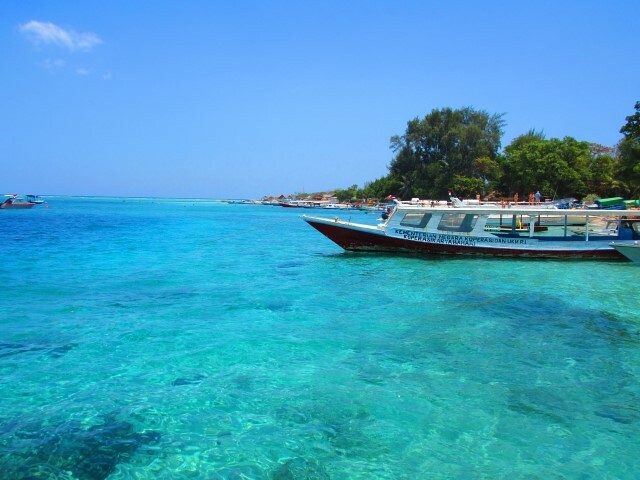 My favorite place that I visited in Indonesia was Gili Air Island. The Gilis are akin to the three bears. 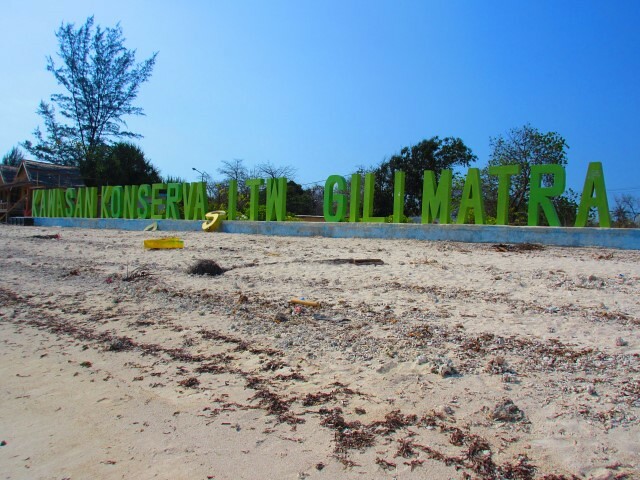 Gili Trawangan is the big party island. 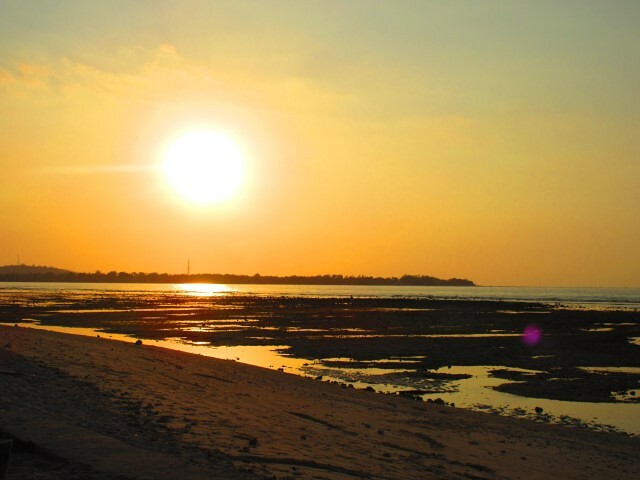 All the people who didn’t get enough partying on Kuta head to Gili T for a wilder time. 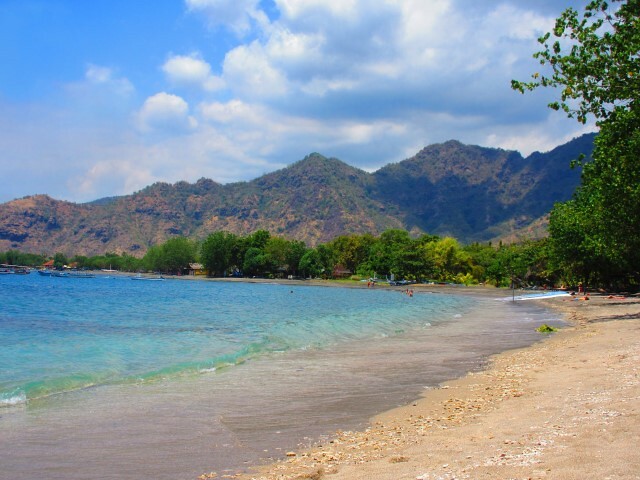 Gili Meno is an ultra-quiet island that is more for people wanting to get completely off the grid. 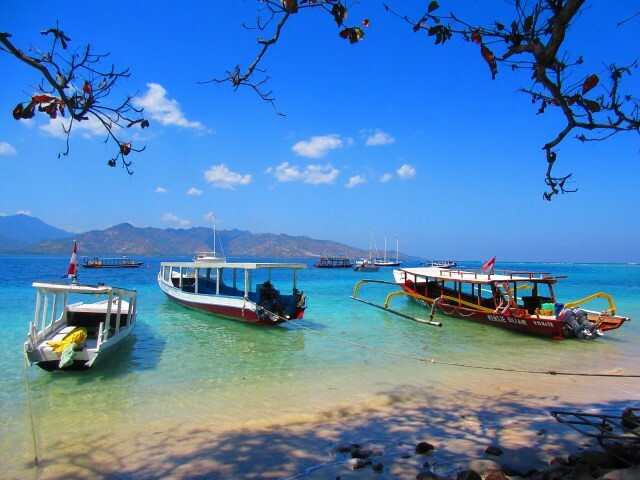 Gili Air is the island where you can still find a party if you’re looking, but for the most part it’s quiet and very relaxed. 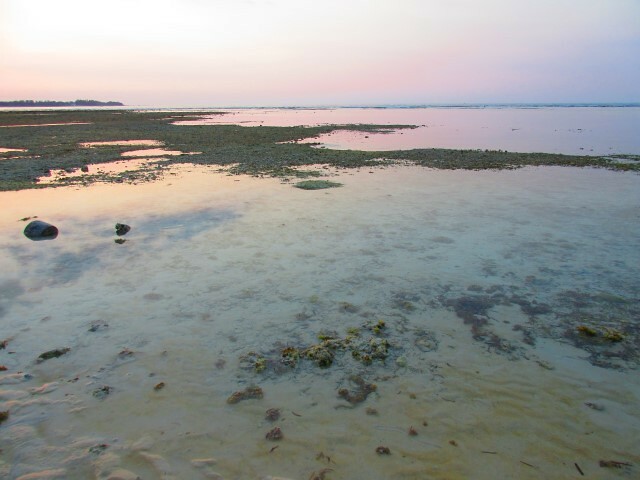 So in essence, Gili T is too wild, Gili M is too calm, and Gili Air is juuuusst riiight. We found a wonderful and cheap bunglow that we spent 5 days at. The hotel had a big cabana on the beach with assorted beach chairs to use. There were mostly families staying at the hotel, so it was very quiet. 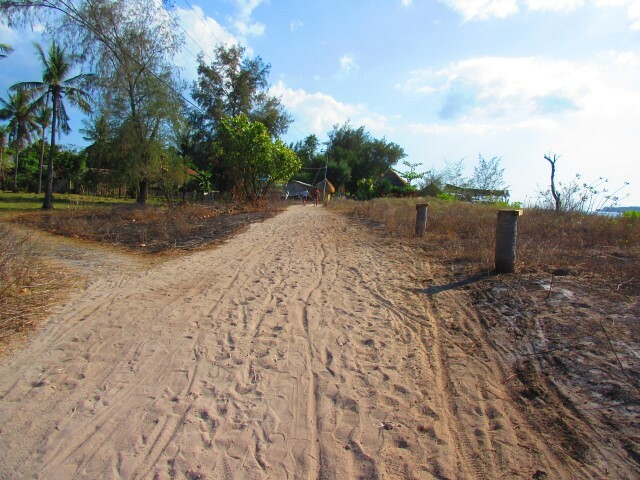 No motor traffic is allowed on the island and all the paths are sand. The whole island took about a half an hour to walk across. You would hear the quiet squeak of bikes coming up behind you, but that was basically the extent of the noise pollution, besides the vague uhn tiss uhn tiss uhn tiss bass of Gili T at night time. There was almost no light pollution there, so the stars were amazing to look at. 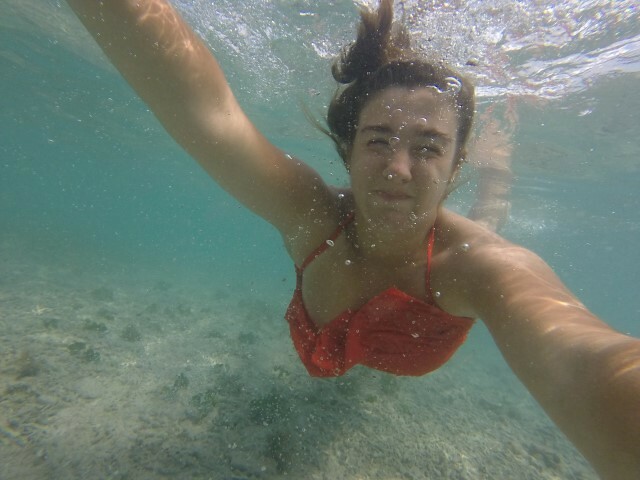 The water was so clear and warm. 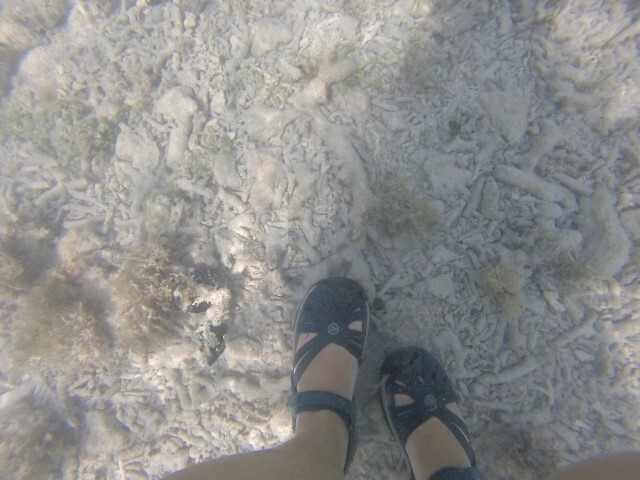 It was so fun to walk around the reef and check out all of the wildlife. I did all the relaxing a person could possibly do while I was there. 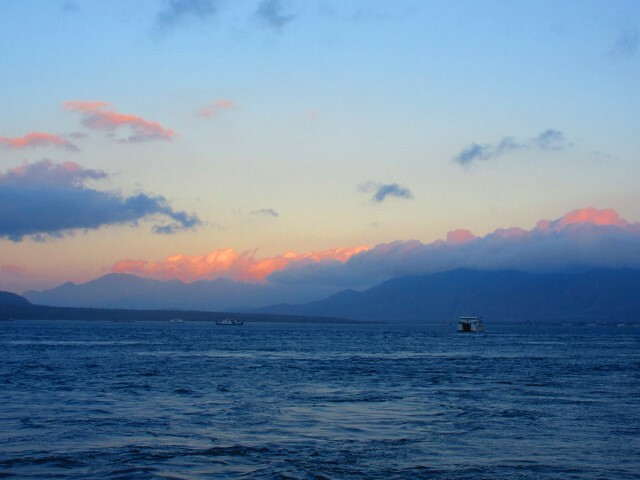 The sunsets were amazing and I love how relaxed the atmosphere was on the island. People were so kind. It was just a really nice place to spend a few days to get ready for my next adventure. 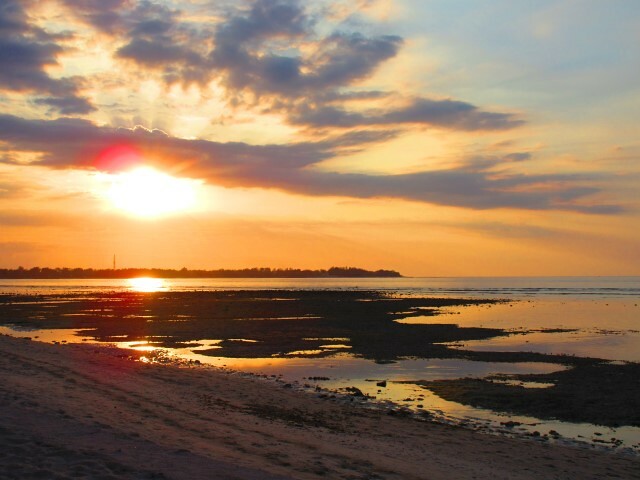 Indonesia hosts much more than beaches, but they’re definitely the highlight. I loved exploring all the different beaches and seeing that each one was unique. Of course I wished I had more time to spend there, but I anticipate that I’ll be back.